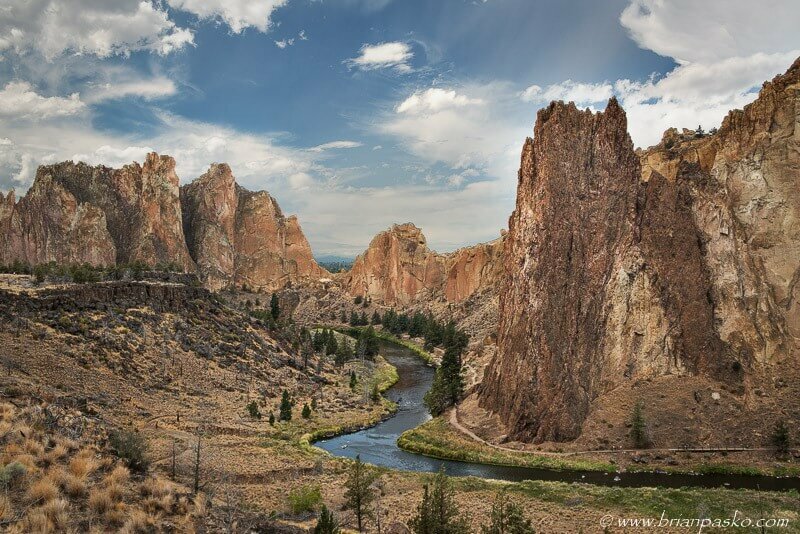 Smith Rock State Park is a climber’s paradise. With it’s world class climbing routes, rock climbers from the globe come to this central Oregon hot spot to train. It’s also a pretty great place for those of us that just like to watch as we enjoy the desert heat and the flow of the Crooked River, which snakes it’s way through the park. (Click on the image to see a larger version).